Know Yourself on a Whole New Level The Fitbit Charge 3 is a unique Berry coloured fitness band featuring a Rose-Gold face. This touchscreen fitness wristband is designed with durable materials and includes small and large sizes. 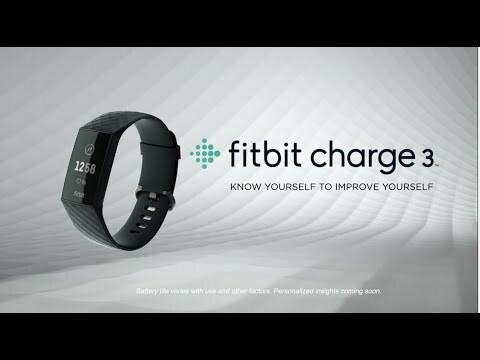 Get lively with Fitbit Charge 3, the clever health and fitness tracker teeming with many innovative features to increase your understanding of your own health and body. This smart wireless health band uses 24/7 heart rate and tailored data to keep you updated with real-time notifications. Fitbit Charge 3 Fitness Activity Tracker, Rose-Gold / Berry, Water Resistant, 24/7 Heart Rate is rated 5.0 out of 5 by 2.